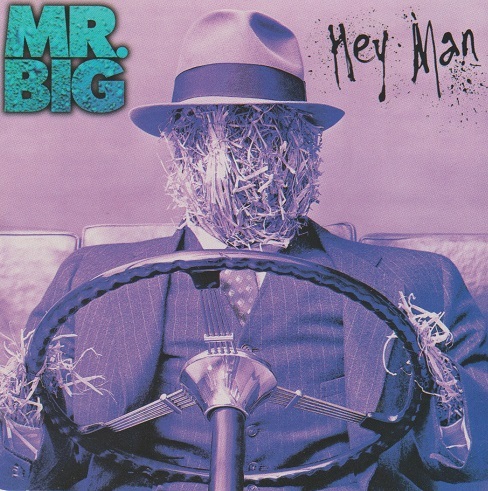 Mr. Big started as a “supergroup” of sorts, with bassist Billy Sheehan being the most well known due to his stint with David Lee Roth (and Talas before that). 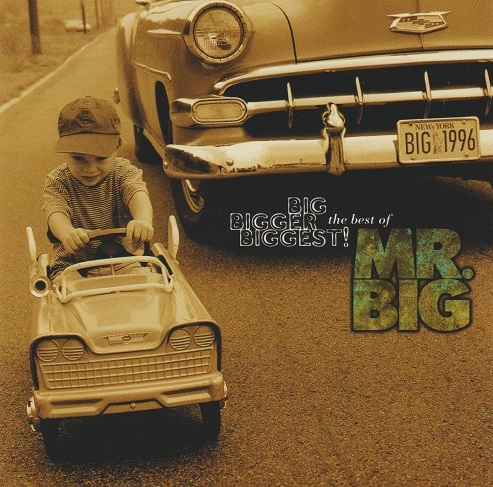 Because of his bass prowess, we know his band Mr. Big would be heavy on the shred. 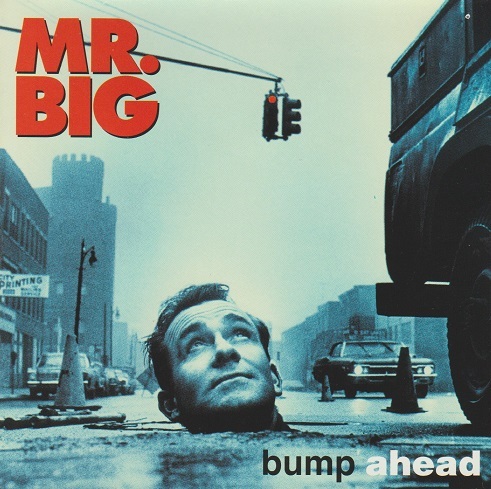 What set them apart was the blue eyed soul of singer Eric Martin. Their debut record possessed the speediest chops imaginable, but used sparingly. It’s a song-oriented album, with “Addicted to that Rush” leading off with heavy space-age playing. Unfortunately nothing else is as memorable, except the Humble Pie cover “30 Days in the Hole”. Tracks like “Had Enough”, “How Can You Do What You Do”, “Rock & Roll Over” and “Merciless” are all competent rock tunes, and due to Billy’s bass, the bottom end is unbelievable. 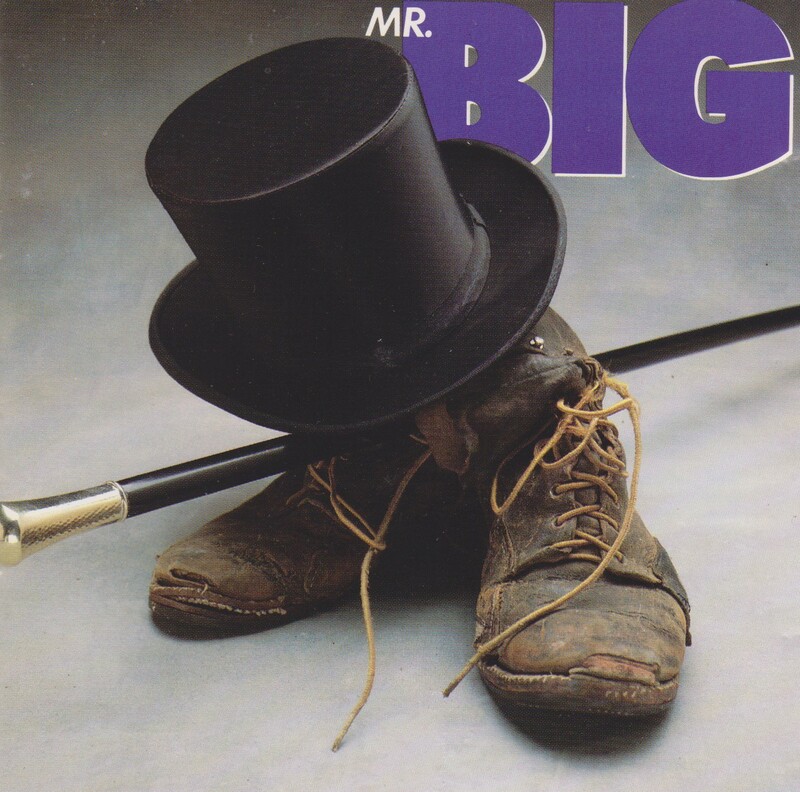 Unfortunately it took Mr. Big one more album to really come up with the songwriting goods. Their debut is fine enough indeed, but folks who dig the playing will be sticking around. Those looking for soul and memorable hooks will have to dig deep. There is good stuff here, but little that will make repeated spins in the CD player months and years down the road. Good, but not quite good enough. A couple weekends ago, I had a chance to dig through some old boxes looking for musical memories. I found that, and a lot more. I discovered a complete inventory of my entire music collection, that I had made as a kid. Most of it was on cassette. There’s no date on it, but thanks to my photographic memory of musical life events, I can easily date this to within +/- a couple months. Let’s have a look and figure out when I made this inventory. The first thing I noticed was there are 24 CD titles on this list. I received my first CD player for Christmas of 1989. That would place this list a fair bit after Christmas of ’89. In the section for “Videos”, I only had four VHS titles at the time: Kiss, Def Leppard, Judas Priest, and Warrant. I know I received a Faith No More (You Fat Bastards) video for Christmas of ’92. So we’re well before December 1992. Back to the CD section. The presence of the Led Zeppelin box set helps me narrow it down further. I know I received that box set for Christmas of 1990. I also remember getting Slaughter’s Stick It Live tape on December 28th of that year, and that cassette is on this list. I distinctly recall my birthday in July 1991. I received Alice Cooper’s Hey Stoopid on cassette (thanks sis), and Van Halen’s For Unlawful Carnal Knowledge on CD (thanks Bob). Neither are on this list. Therefore, this was made sometime between Christmas of 1990, and July of ’91. Just over six months. To narrow it down as tightly as possible, I need to look for purchases that I know I made in early 1991. 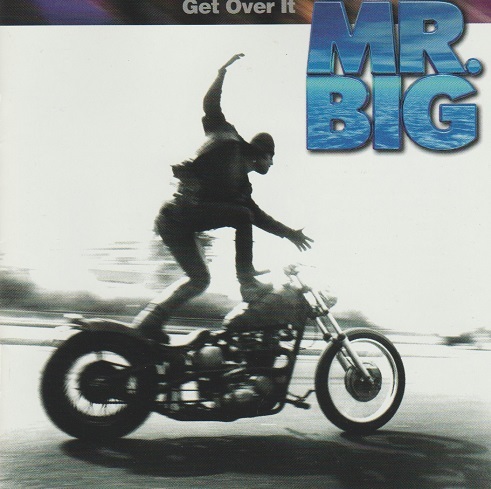 In April or May of ’91, I can remember getting the new Mr. Big (Lean Into It) on cassette, and the first Raw M.E.A.T CD. Neither are on here. Most definitively however, missing on this list is David Lee Roth’s newest, A Lil’ Ain’t Enough. I know I got that for Easter of 1991. Now we’re really close. Somewhere between January to March of ’91! I know I bought the uber-rare cassette single for Helix’s “Good to the Last Drop” really early in 1991. Snow was still on the ground, and that cassette single is not listed here. Therefore: I conclude that I created this list after Christmas 1990 or early in 1991, but probably during Christmas break 1990! I would have had the spare time to work on it during break. 1. Apparently I hadn’t yet discovered alphabetizing. 2. The dollar values printed represent approximate guesses as to retail value. I later made a revised list that replaced this with 5 star ratings, but I have not as yet found that version. Here it is, now preserved digitally forever! And look — I only owned one CD single! * Final interesting note: Most of the items on this list are long gone. I’ve upgraded to CD on all the cassettes and only kept a handful. I have most of the vinyl, but I gave away my ’45 of the Wrestlers. I have some of the CDs, but others (Kiss, Bon Jovi, AC/DC, Van Halen, Slaughter, Maiden, Motley Crue) have long been replaced by remasters. * Iron Maiden’s “Holy Smoke”, bought at Dr. Disc in the autumn of 1990. T-Rev, Wes, Doug and I had a great time at the Toronto Musical Collectibles Record & CD Sale 2014. Trevor came home with some kind of Asian import of Foo Fighters’ In Your Honor with at least a dozen bonus tracks. He also scored a cool silver Grand Funk LP with a round cover. Wes stocked up on Tom Petty vinyl. My treasures are below. Let’s start with the Japanese imports! Yes, the same vendor was there. I probably cleared out his best stuff last year, but he still had some good ones left for me. Ozzy Osbourne – Under Cover ($25 with obi strip intact) I am well on record as not being a fan of this album. But it’s one of only two Ozzy albums that I didn’t own. Finding a Japanese version made it easy to justify for my collection. The bonus track is “Changes” with Kelly Osbourne, but I had that already on the Prince of Darkness box set. This comes with a region 2 DVD. Europe – Start From the Dark (sealed, $20) I already had this album as a bonus CD within Europe’s Live From the Dark DVD set. 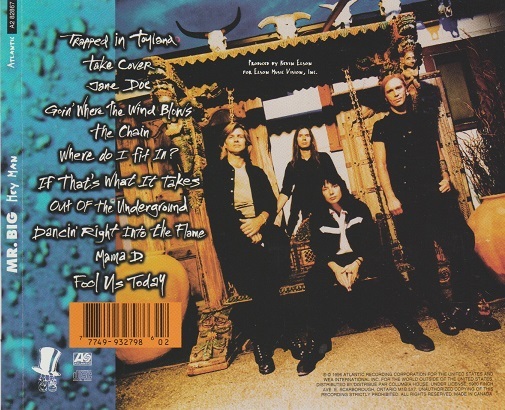 The Japanese get two live tracks from Sweden Rock 2004: “Seven Doors Hotel” and “Wings Of Tomorrow”. White Wolf – Endangered Species (sealed, $20) Last year I bought Standing Alone on vinyl, this year I got Endangered Species! I always liked that song “She.” There are no bonus tracks on it but it’s so hard to find this on CD at all, let alone Japanese. Paul Gilbert – Get Out of My Yard (sealed, $20) I’ve long been a fan of Paul Gilbert (Mr. Big), and he’s a cult hero in Japan. I know his solo stuff is pretty out there. Although I have tracks of his on guitar compilations, this is the first solo album of his that I have found. Aerosmith – “Pink” (sealed CD single, $15) In Record Store Tales Part 42, I made fun of the “Barefoot DJ” because he was looking for this Aerosmith dud. Regardless, I’m probably most excited about this CD. If there’s one thing rarer than Japanese CDs, it might be Japanese CD singles. They’re produced in even more limited number. I won’t get all the B-sides for “Pink” on this CD single, but it has plenty of tracks that I believe are exclusive to this disc. 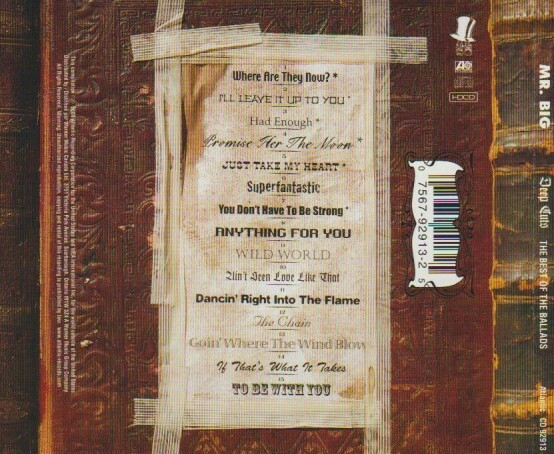 Aerosmith – “Amazing” (CD single, $5 with obi strip intact) I had a domestic copy of this CD with the exact same tracks, just in a different order. I wasn’t sure if I had it or not when I bought it, but for $5 I figured it’s still a win-win situation. It’s in mint condition and I paid a fair price for it. Anthrax – We’ve Come For You All (sealed German import, $10) I’ve always wanted this album, and I always promised myself I’d get it if I found an import with bonus tracks for a good price. I have done that now. Deep Purple – Smoke On My Mega-mix ($5) This is a bootleg. I bought this from the same guy who sold me the Aerosmith “Amazing” single. Years and years ago, there was a Deep Purple compilation LP called Anthology. If you bought that and four other singles, you could mail away for a “Smoke On My Mega-mix” exclusive single. This bootleg has that track, and a whole bunch of other rarities. One such track is Deep Purple Mk V’s “Fire, Ice & Dynamite” which is only on a DVD called New, Live & Rare. Iron Maiden – Revenge Is Living In the Past (bootleg from A Matter of Life and Death tour, $40) This is a beautifully packaged triple-gatefold live bootleg. One of the few recent tours that Maiden have not released a live album from was A Matter of Life and Death. On that tour, they played the whole album live, and now I have it. It’s really nicely packaged and I’m looking forward to listening to it soon. All four of us had a blast. In the car, Wes commented, “I don’t think I’ve ever had musical conversations like this before!” Then, I found something out. Last year, Wes gave me a copy of Twisted Sister’s “We’re Not Gonna Take It.” He did this on condition that I rip and email him the tracks. I did that as soon as I got home, only I sent them via Trevor, since I didn’t have Wes’ email. Wes said he never got them. “I emailed the tracks like a year ago,” I replied. I explained that Trevor instructed to just send them to him, and he’d forward them along. That never happened. Wes said, “All this time I thought it was Ladano’s fault, turns out it’s my friend right here!” and points at Trevor. This is turning into an annual event. We might make it semi-annual by checking out the October show. I’ll be sure to be you posted!